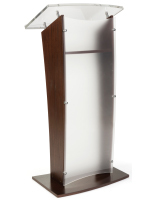 This lectern with frosted panel is an elegant speaking stand with modern flair and functionality, and a built-in shelf for supporting notes or tablets. This pulpit is a great speaking stand for trade shows, business conventions, colleges activities, and it works well in virtually any business or church setting. 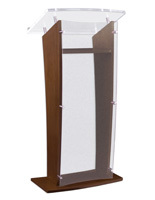 This lectern is constructed of black woodgrain veneer on the sides and bottom, and a clear acrylic presentation surface. 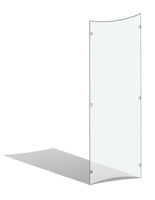 The frosted front panel on the front allows the light to pass through, while creating a little privacy for the lecturer. 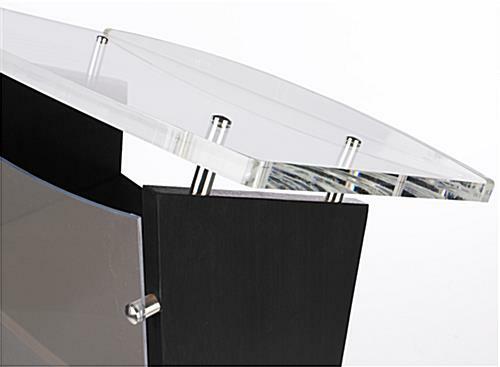 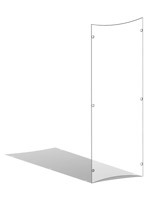 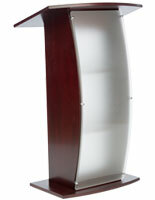 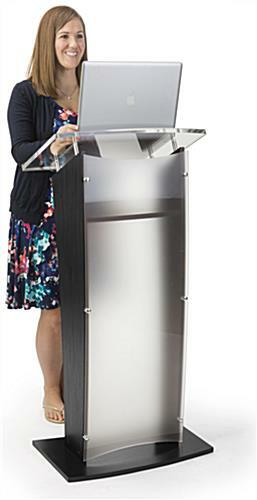 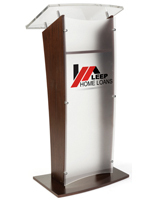 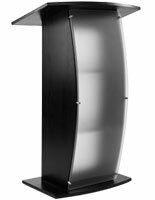 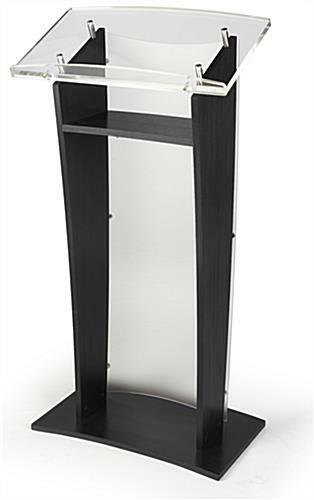 Buy this sleek, curved podium to set a sophisticated tone for any speech. 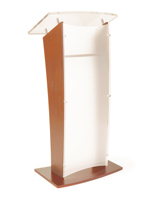 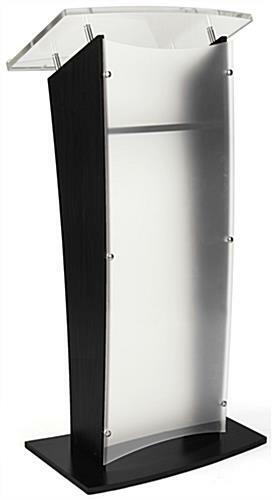 This lectern with frosted panel offers a blend of style and function that gives any speaker an edge.